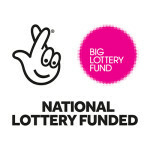 Shiloh were recently awarded funding from the National Lottery Awards for All scheme for a Volunteer Coordinator. Shiloh Rotherham is a charity which is founded on volunteers. Following our move to a new home, it was notable that we needed to develop and enhance our volunteer team. In these larger new premises we need additional volunteers to support our guests and extend the range of activities and facilities available to them. Shiloh applied to Awards for All for a Coordinator role, to develop a recruitment strategy and working with Voluntary Action Rotherham, advertise and develop new roles, and encourage new people to do the very valuable role of volunteering. It is known that volunteering, whilst giving back to the community can also develop the volunteers’ skills and sense of community. Our aim is to build our volunteer base from around 50 people to 80 people, who will come to Station road and support our guests. We need people to work in our kitchen, our laundry room and activities areas. We also need people with skills such as general DIY, maintenance and also shop experience . We are also hoping to build a group of volunteers with motivational and counselling skills, to support and develop our guests. With the funding we have received from Awards for all, we are now in a position to actually set in motion these plans, which will enable Shiloh as a charity to deliver better services to people who are homeless or vulnerable.